It's time to grab your favorite tequila and mix up a great new cocktail because it's margarita time! Margaritas come in every flavor imaginable and they certainly are a fun class of cocktails. Building from the original base of the margarita, we can take this famous cocktail to any flavor realm we like. From dreamy chocolate or coconut to delightfully elegant floral, even the exotic and the spicy, there is a margarita recipe for every taste and occasion. 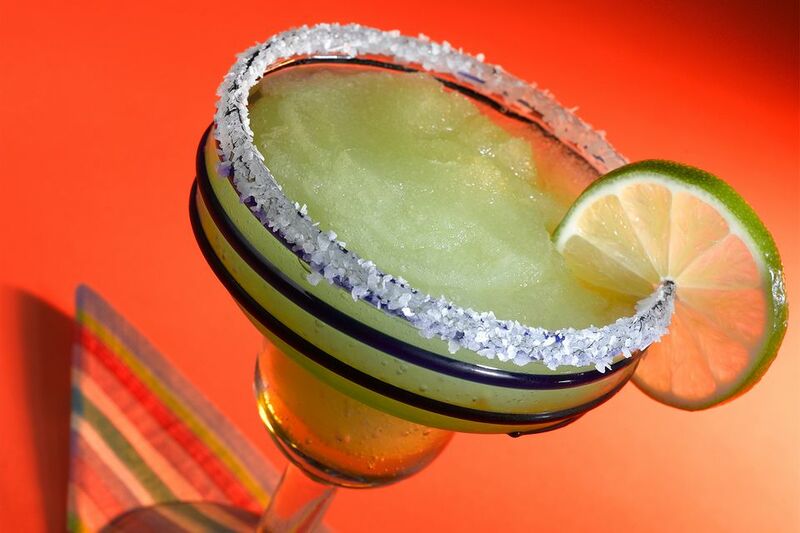 Let's explore some of the great margarita recipes available. They're all quite easy to mix up and there's no better way to break out from a routine than to discover a new cocktail recipe. Unbelievably simple and quick to mix up, the tamarind margarita is a wonder of the bar. It's a cocktail that every tequila-loving drinker needs to try at least once. It has a semi-sweet taste and the tamarind adds an exotic flair that most margaritas just can't touch, especially with the chili powder rim. You can, of course, create a Tamarind-pineapple margarita for the blender, but the basic recipe is just as satisfying. If you already have a well-stocked bar, then all that's needed is the tamarind nectar. It's easy to find in the juice aisle of most major supermarkets and international food markets. When you're in the mood for a decadent, absolutely delicious margarita turn to the chocolate margarita. It's a creamy, blended delight and this particular recipe is a little more interesting than you'd expect. The focus of the recipe goes beyond luscious chocolate. Instead, we add a splash of two citrus juices as an accent. This brings in just a hint of a new flavor dimension and transforms the drink from indulgent to impressive. It's time to indulge your childhood memories and mix up a fun margarita. This recipe takes all the flavors ​we love about gummy bear candies and liquefies them into an adults-only beverage. The gummy bear margarita combines watermelon and cranberry to create a tasty base. While optional, you can give it a little extra flavor by adding a raspberry-kiwi tequila to the mix. If you're doing the infusion at home, give yourself a few days to extract the full flavor of the fruits. It's time to get spicy, and we don't mean jalapeño margarita type of spicy. No, this pineapple chili margarita recipe piles on the flavor to bring down the heat just enough and make it approachable to everyone. The best part about this spicy cocktail is that you can make each drink as spicy as you like. The hot sauce is added by the dash, so if you enjoy a little more heat than your friend, simply add a dash or two more. The pineapple does a fantastic job of contrasting the heat and it's quite a delight to drink. Oh, how we love blue cocktails! It's hard to resist this delightfully delicate Hpnotiq margarita recipe and it is one that you can mix up for any occasion and any drinker. Everyone will fall for it. The recipe could not be easier and this is a perfect place to show off your new favorite tequila. Hpnotiq takes over most of the margarita's flavor with its delicate balance of tropical fruits. It's a fun twist on the average margarita recipe and one that will impress anyone who drinks it. You already know you enjoy the occasional Tequila Sunrise, so why not toss it into the blender? Everything we love about that drink is included here, even the signature 'sunrise' effect. Quite simply, to make the Tequila sunrise margarita you will blend up an Orange Margarita. This is then poured over a bed of grenadine and you're done! The sweetness contrasts the tequila-citrus mix and it's wonderfully simple. Margarita meets Pina Colada in a shaker and the result is nothing short of fun. Sure, you can toss this in the blender if you like, but it's much easier to clean a cocktail shaker and the drink comes out just as frothy. On a hot summer day, few drinks will be able to rival the tropical taste of the coco margarita. You can even have a bottle of rum on hand and switch back to the Pina Colada whenever you like. Two drinks in one—that sounds like the perfect way to host a party! It's time to take a different approach to the blue margarita and you'll love this recipe. It's not exactly blue, but more of an aqua color because―as we learned in elementary school―yellow and blue make green. The blue lagoon margarita is one of the easiest margaritas you can mix up. The simple fruit flavors of orange and pineapple are a delightful combination and the soda adds a little sparkle to lighten it up. It's fantastic and impressive, everything you need to change up a routine. Adding the label of 'healthy' to any alcoholic beverage is a tricky business. We also won't guarantee that the drink will live up to its name. Yet, if you're looking for a cocktail that has a unique taste and features organic ingredients, this is a good choice. Admittedly, not everyone will enjoy this look better naked margarita recipe, but it is worth trying. If you already enjoy the exotic taste of the acai berry, then you'll love it. Also, it gives you an excuse to toss an egg white into a margarita, which adds a delectable foam to the drink. Agua de jamaica, what is that? Quite simply, it's hibiscus-flavored water and it's easy to make at home. Whether you pull the blooms off your own (non-chemically treated) hibiscus plant or pick some up at the market, you'll find it to be a lovely ingredient. 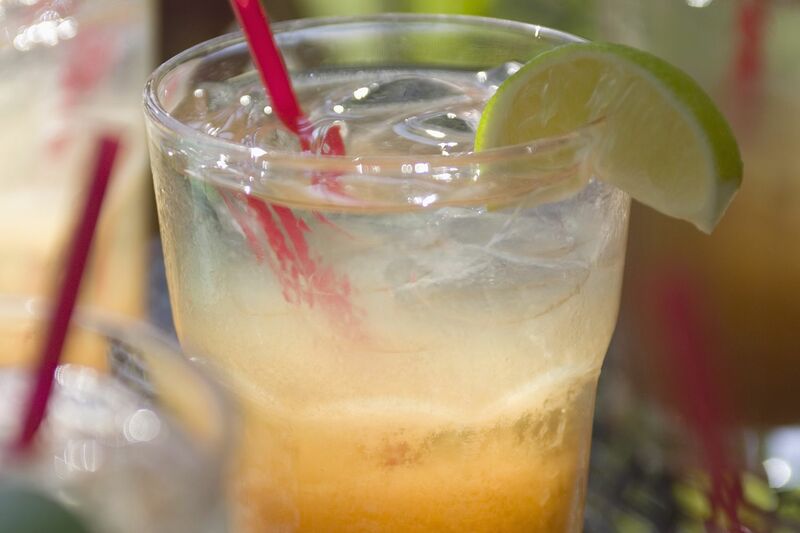 The flower water is the only real flavoring in this Jamaica margarita recipe. It's extremely delicate and that means you really need to choose the tequila wisely. Consider this a great excuse for upgrading (even just a little bit) from your standard tequila and the drink will be fabulous.